It’s time for a tradition like no other! Each week, our very own Jeff Wickerham takes the time to highlight a specific promotional product that he thinks YOU should know about! 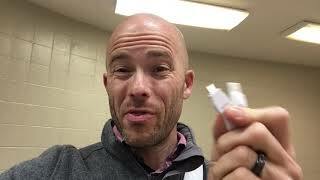 Jeff’s Pick this week is the Lanyard Like Charging Cable! This is an extra long 34” 2-in-1 charging cable with 5-pin charging attachment for use with Apple ® iPhone ® 6, 7, 8 and X cell phones and Micro USB charging attachment for use with Android ®, Samsung ®, Motorola ®, HTC ®, Nokia ®, LG® and other android phones. This cable can also be used as a lanyard/badgeholder for corporate and other meetings, conventions and trade fairs. The cell phone charging cable will continued to be used by recipients long after the event. Extra long step and repeat imprint opportunity for unparalled promotions. iPhone ® is a registered trademark of Apple ® Inc. Available with a Spot Color or Full Color Imprint. Stay tuned for next Friday’s Jeff’s Pick! Oh…and don’t forget to sign up for our VIP Newsletter here.